Do you know how to start a fire or build a shelter? Learn the basics in our Survival Skills class! 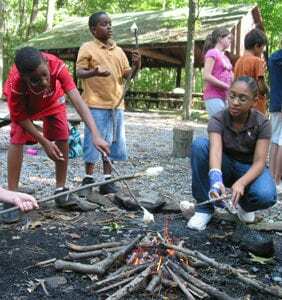 Our trained instructors will teach your group how to build a shelter and fire. These skills help us to connect with the world around us. Cost: $9 per person. Non-participating adults are free. Discount – Overnight guests pay only $7 per person when booking more than 30 days in advance!